Are you really ready to start working out and getting in shape? It’s that time of year again, when everyone looks in the mirror and realizes that they enjoyed too many cocktails and ate way too many cookies over the holidays. Like clockwork, many of us start with new year’s resolutions and say we’re going to get back in shape. 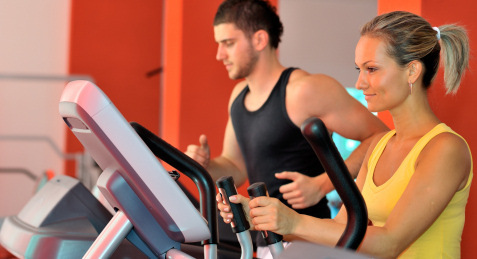 Gym memberships typically skyrocket during January and February of every year. Working out again is a good thing, of course, but not enough people follow through and make it a part of their lifestyle for the long term. To do it properly, you have to approach this in a way that’s sustainable. In his first column for Bullz-Eye.com way back in 2000 (10 years ago! ), fitness editor Mike Furci provided some guidelines on how to start working out in a way that will be sustainable over the long run. Most of his recommendations involve your mental approach to working out. If you get your mind right, then over time you’ll make improvements in your health and fitness. Check it out and then check out Mike’s regular fitness columns on Bullz-Eye.